Today, the folks behind the Wanee Festival have announced that early-bird tickets for the 2014 installment of the event will go on sale this Thursday, December 5, at 10 a.m. ET. Those who get in on the early-bird tickets can score their ducats at the discounted rate of $175. The tickets will be available through the Wanee website from Thursday morning until December 12 at 6 p.m. ET or whenever the limited supply sells out. 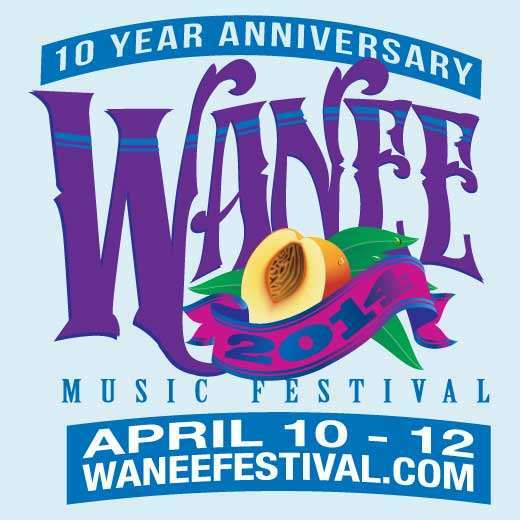 Wanee 2014 will take place at the Spirit of the Suwannee Music Park in Live Oak, FL from April 10 -12. Bonnaroo organizers have just started a pre-sale for next year’s event, which will enable purchasers to score tickets $234.50 plus fees. The pre-sale is expected to run until New Year’s Eve or while supplies last. Bonnaroo 2014 will take place on The Farm in Manchester, TN from June 12 -15.